With ETFs gaining traction among investors worldwide, mutual fund managers would have every reason to dislike their low-cost competition. But there's evidence that, for some, it’s a love-hate relationship. Citing data from independent investment research firm Morningstar, Marketwatch reports that more mutual fund managers are including ETFs in their portfolio. In 2016, 1,222 mutual funds had an ETF among their holdings, accounting for a median value of 4.5% of the mutual fund’s total assets under management. Compare that to 2006, when there were only 595 ETF-holding mutual funds, with a median of 1.2% of the fund’s assets placed in an ETF. Such mutual funds are still the minority, however: a 2016 fact book released by the Investment Company Institute, an association of US funds, reported that there were more than 9,000 US mutual funds in 2015, holding US$15.7 in assets. 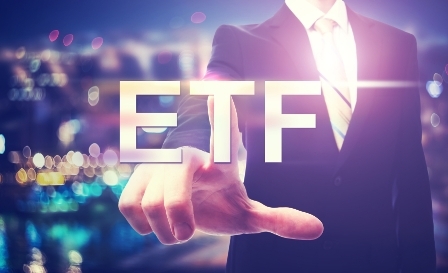 The top ETFs for mutual funds were equity-based, with the most popular being the SPDR S&P 500 ETF Trust — the largest ETF on the market with US$232 billion in assets. Six of the most widely held were bond ETFs, among which were two “junk bond” funds. Morningstar didn’t list which mutual funds used which ETFs, but it’s possible that mutual fund managers use fixed-income ETFs to easily obtain broad exposure to the bond market, especially less liquid areas like emerging-market debt.